Have you ever wished to keep your doggo, pupper or a woofer entertained without having to get up from a couch? Lucky for you, there is a solution. Wickedbone is a bone-shaped remote control dog toy for your best friend. Shenzhen Cheerble Technology Co., Ltd. or simply “Cheerble”, has introduced the first smart and interactive dog toy. The traditional dog bone can be problematic, because it can disintegrate easily and leaves a mess all over home. Beside that, some toys could cause gastric problems to the dog. Founders of Wickedbone have found a solution to these problems. 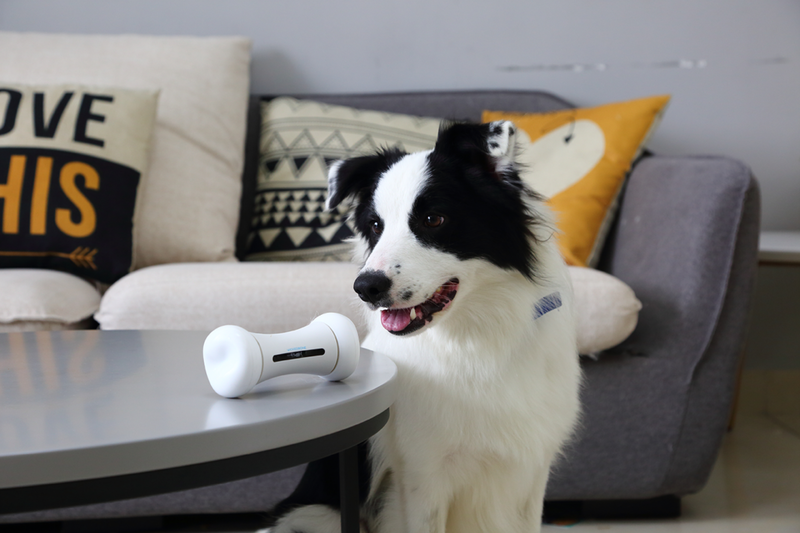 Their Kickstarter campaign introduced a smart and interactive gaming device that looks like a traditional bone for your best friend. The project was fully funded in 24 hours. There are two different ways to utilize the bone. With the drive mode owners can control the bone by simply going to the Wickedbone App on their electronic device. There the owners are able to move the bone through the virtual joystick and are able to choose from 9 different motions for the bone to perform. Then with the interactive mode the bone is wired to guide your dog to play with it. Wickedbone acts responsively to different types of touch and is strong enough to resists normal impact of a dog’s playtime. The team created an emotional system in the interactive mode that reacts to different dog’s actions. For example there is a bored, content, mad, even mischievous mode. This can be beneficial for dog owners who are too busy or tired from a long day work. The FDA approved body material made of Polycarbonate has a soft and squishy feel making it enjoyable for the dog to chew up and play with for hours on end. Though, the inner part is made of safe PC material, they recommend that owners stop using it if the shell has been damaged. It is sufficiently strong to resist the normal impact of a dog’s play time, which means owners can count on Wickedbone to be there for the owners and the dog for a long time. Additionally, it is easy to clean by simply taking off the detachable tires and protecting cover. Dogs require a lot of movement and attention, but sometimes, owners need a little help to keep their pets busy. For more details, check out their Kickstarter campaign page or Facebook. Next articleWill the Next Mozart Be an Artificial Intelligence?